Twenty-six communities were recently impacted with the Good news of Jesus Christ. 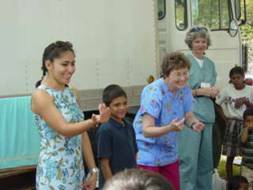 January 25-29, 2004 a medical-dental-evangelism team from Southeast Arkansas shared the gospel with over 2,000 individuals in twenty-six rural mountain communities in El Paraiso, Honduras. The town of La Esperanza in El Paraiso Department is the largest along a narrow rural mountain road with 30 smaller communities each with two or three room schools. Among those who made professions of faith in Christ was the rural nurse who had become very confused because of the erroneous influence of Mormonism. He responded beautifully to the simple truth of salvation by grace through faith in Jesus Christ alone. 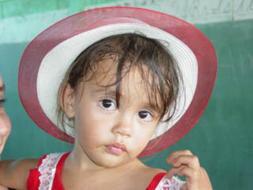 We must never make an apology for being in dead earnest about world missions . . .
We conducted twenty-nine worship services during this team visit. Every patient must attend a worship service before he can see a doctor or dentist. 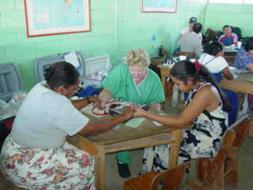 On this trip 139 professions of faith, and 411 rededications were made in the worship services and clinics. 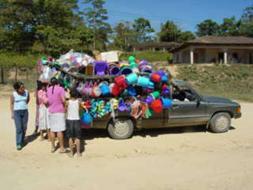 We were amazed at the large number of evangelical believers in this community. 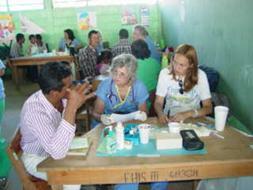 The Medical-Dental-Evangelism Team from Southeast Arkansas saw the Lord change people’s lives. The eye clinic fitted one thousand eyeglasses and our Honduran ophthalmologist referred patients to clinics in Danli and Tegucigalpa. 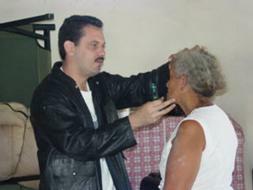 q Juan Alberto Hererra Ministry Alberto has faithfully served 18 years as a evangelist with mission teams, evangelist and pastor. Go on a medical-dental-evangelism or construction team.